In 2016, nearly 50,000 people died of opioid overdoses in the United States, and, per capita, almost as many died in Canada. From 2000 to 2016, more Americans died of overdoses than died in World War I and World War II combined. Yet even these grim numbers understate the impact of opioid abuse, because for every person who dies, many more live with addiction. The White House Council of Economic Advisers has estimated that the epidemic cost the U.S. economy $504 billion in 2015, or 2.8 percent of GDP. This public health story is now common knowledge. Less well known is the growing risk that the epidemic will spread across the globe. Facing a backlash in the United States and Canada, drug companies are turning their attention to Asia and Europe and repeating the tactics that created the crisis in the first place. At the same time, the rise of fentanyl, a highly potent synthetic opioid, has made the outbreak even deadlier and begun to reshape the global drug market, a development with significant foreign policy implications. As a result, the world is on the cusp of a global opioid epidemic, driven by the overuse of legal painkillers and worsened by the spread of fentanyl, that could mark a public health disaster of historic proportions. Yet in the face of this terrifying possibility, the world has remained largely complacent. Governments and international organizations urgently need to learn the lessons of the North American crisis. The first and most important of those is that the more opioids flood the market, the bigger the problem will be—and so governments must couple efforts to treat addicted individuals with efforts to curb supply. That will require them to crack down on pharmaceutical companies that abuse their positions and to take aggressive steps to regulate the sale and marketing of opioids. And the rise of synthetic opioids means that governments must rethink the role that fighting drug trafficking plays in their foreign policies. Opioids derived from the opium poppy have long been used successfully to relieve short-term pain from surgery and to comfort patients with terminal conditions, including cancer. Problems can arise, however, when they are prescribed for prolonged periods to treat nonterminal chronic pain. Extended use raises the risk of addiction and increases tolerance, meaning that patients need more and more of the drug to achieve the same effect. Opioids are so dangerous because the difference between a lethal dose and a normal one is only a modest multiple. Worse still, a dose that works today can kill tomorrow, especially if the patient has taken other drugs, such as alcohol or benzodiazepines (a class of drugs that includes Valium and Xanax). And because an overdose kills by depriving the body of oxygen, even those who survive risk serious organ damage. Opioids are widely misused for three reasons. First, clinicians can’t objectively measure pain in the way they can body temperature or blood pressure, so they rely on patients’ accuracy and honesty in judging pain severity. Second, opioids are highly prized, even by healthy people, because of the euphoria they create. And third, anyone without scruples can sell prescription opioids on the black market. The largess of manufacturers flowed to virtually every organization that should have been protecting the public. After several epidemics involving legal medications in the nineteenth century, in 1914, the U.S. government banned most distribution of opioids. For nearly 50 years after that, North America saw few opioid-related problems besides heroin use in a few U.S. and Canadian cities. In the late 1960s and 1970s, heroin spread to more cities, but then stalled. From the 1970s to the mid-1990s, the number of dependent users was fairly stable. All of that changed in the mid-1990s. Several pharmaceutical companies began aggressively marketing opioids to treat chronic, not just acute, pain, claiming they carried little risk of addiction. The most infamous was Purdue Pharma, the maker of OxyContin, but other companies rolled out similar products. As the New York Times journalist Barry Meier and the psychiatrist Anna Lembke have documented, their tactics were nearly as ruthless as those of any drug dealer. During the period of mostly uncritical enthusiasm for prescription opioids, the largess of manufacturers flowed to virtually every organization that should have been protecting the public, including health-care regulators, professional medical societies, medical school education programs, elected officials, patient advocacy groups, medical opinion leaders, and state medical boards. A study by the Center for Public Integrity and the Associated Press found that from 2006 to 2015, the pharmaceutical industry spent $880 million on campaign contributions and lobbying state legislatures, 220 times as much as the amount spent by groups trying to limit opioid use. In 2013, the marketing expenditure of each of the ten largest phar-maceutical companies exceeded the entire budget of the U.S. Food and Drug Administration. The resulting lax regulatory environment, coupled with a sincere concern that many patients were living with unacceptable levels of pain, released a tsunami of opioid prescriptions. Consumption in the United States quadrupled from 1999 to 2014, peaking at 250 million prescriptions per year. By 2010, the U.S. health-care system was dispensing enough opioids each year for everyone in the country to be medicated round the clock for a month. A health worker treats a patient recovering from opioid addition, Boston, January 2013. In 2007, federal prosecutors secured a guilty plea from Purdue Pharma for knowingly deceiving doctors and patients. The courts fined the company $600 million and required it to more accurately describe the risks and benefits of OxyContin. Still, that fine is dwarfed by the estimated $35 billion of revenue that Purdue has earned from the drug, and the three executives who pled guilty avoided jail sentences. By contrast, someone convicted of selling 100 grams of heroin—worth between $2,500 and $15,000—faces a federal mandatory minimum sentence of five years. Other fines paid by opioid manufacturers and distributors in the United States and Canada have mostly been under $25 million—small enough that companies could treat them as just a cost of doing business. A recent scandal reveals the extent to which the industry has captured regulators. In 2016, Eric Eyre, a determined West Virginia journalist, discovered that drug companies had shipped nearly nine million opioid pills to a pharmacy in Kermit, West Virginia, a town with fewer than 400 residents. The Drug Enforcement Administration was already investigating why the companies that distributed these opioids did not report or stop the suspicious shipments. But the opioid distributors responded by hiring away DEA officials, many of them from the division responsible for regulating the industry, and by lobbying friendly politicians. In 2016, Congress passed legislation curtailing the DEA’s ability to pursue any such cases. One of the leaders in that effort, Tom Marino, a Republican congressman from Pennsylvania and a recipient of extensive campaign donations from the industry, was even nominated by President Donald Trump to serve as the director of the Office of National Drug Control Policy. Marino withdrew when The Washington Post and 60 Minutes broke the story of his involvement with the bill, but his nomination showed that the administration was willing to put its drug policy in the hands of a creature of the industry. And despite Marino’s withdrawal, the pro-industry policy created by Congress remains firmly in place. The liberalization of painkiller prescriptions has fueled a black market thanks to a straightforward economic calculus. The black market pays about $1 per milligram for oxycodone pills. A typical daily dose for a long-term opioid patient is 100 milligrams, or $36,500 worth of pills a year. Thus, a patient with a $30 copay for a 30-day prescription pays $1 a day for medicines that can then be sold for $100. Those skilled at working the system can obtain prescriptions for hundreds of milligrams a day, either from one doctor or by doctor shopping. Although most patients are not criminals, many criminals pretend to be patients. Furthermore, even otherwise honest people can be tempted into crime when the payoff is that great. Just by lying about a medical condition that doctors cannot verify with any objective test, a patient can obtain prescriptions worth tens of thousands of dollars. Even for those who truly need the drugs, the black market offers attractive opportunities. A single milligram of pure heroin usually sells for under $1, slightly less than the price that a milligram of oxycodone commands, even though heroin is roughly three times as potent. Selling prescription pills and buying heroin thus lets the user more than triple his or her opioid consumption or, alternatively, keep the same rate of consumption and buy groceries or pay the rent. This creates a vicious cycle: addicted people obtain prescriptions, which they sell to others, who become addicted and seek their own prescriptions, which they then sell in turn, addicting still others. This process has driven a boom in demand. Heroin use, which had stayed stable for many years, surged as people who had become addicted to prescription opioids shifted to black-market alternatives. Beginning around 2014, black-market fentanyl compounded matters. Fentanyl did not create the crisis: prescribed opioids were already killing tens of thousands of people. But it threw gasoline on the fire. Dealers began cutting heroin with cheap diluents and then adding fentanyl—which is less expensive and more potent than other opioids—to raise the strength of the mixture before selling it as heroin. Deaths in the United States from synthetic opioids other than methadone (the category that includes fentanyl) jumped from 3,105 in 2013 to 20,145 in 2016. So far, this dynamic has been most pronounced in the United States and Canada. The United States has an unusually corporate-friendly policy environment, but Canada has a stronger tradition of state regulation. So other countries would be foolish to assume that something similar could not happen to them. U.S. pharmaceutical companies are already working to expand foreign sales. The Sackler family, which owns Purdue Pharma, also owns Mundipharma, a worldwide network of pharmaceutical companies that is not constrained by the U.S. federal court decision against Purdue. As detailed by the Los Angeles Times, Mundipharma is active in Australia, Brazil, China, Colombia, Egypt, Mexico, the Philippines, Singapore, South Korea, and Spain and is using the same aggressive sales tactics that Purdue Pharma employed in the United States. It runs training seminars in which representatives encourage doctors to overcome their “opiophobia.” It sponsors ad campaigns that promote pharmaceutical treatment for pain. It has hired consultants, local opinion leaders, and an army of sales representatives to promote its products. In May 2017, a bipartisan group of 12 members of the U.S. Congress wrote to the director general of the World Health Organization (WHO) to warn against the predations of Mundipharma. But it is not clear that the world heard the message. Already, several countries appear to be falling into the trap of opioid use. In Germany, prescription rates have risen to nearly the Canadian level. In Australia, OxyContin prescriptions have increased sharply, and Mundipharma has contributed funding to the development of national pain-management strategies. In much of the developing world, where states are weaker and drug manufacturers have a freer hand, the outlook is even worse. To prevent the North American crisis from growing into a global one, several steps must be taken now, before it is too late. First, jurisdictions that decide to liberalize their prescription opioid policies must plan to spend more on drug treatment and other services for those struggling with opioid addiction, rather than playing catch-up after the problem has grown. But just treating addicted people will not solve the problem. Governments must also address the incentives pharmaceutical companies have for profiting from oversupplying and overpromoting opioids. A more complex alternative would be to develop a distinct and more stringent set of regulations for opioids that would recognize the unique challenges they pose. Whereas for most drugs it makes sense for regulators to consider only whether the drugs are safe and effective for patients when used as directed, that standard is woefully inadequate for drugs that are as easily and widely abused as opioids. Regulators should take all foreseeable consequences into account, not just those likely to follow from the proper use of prescribed opioids. Tighter regulation could also include new ways of calculating fines for drug companies that break the law. There is little evidence that one-off penalties change corporate behavior. But agreements that made fines contingent on outcomes might. If opioid manufacturers faced, say, a $1 million fine for every overdose involving one of their products, they would have an enduring incentive to regulate themselves. The WHO and the United Nations could help in two ways. Many low- and middle-income countries face the opposite problem of rich ones: they do not use enough opioids, a shortfall that leads to unneeded suffering, particularly for the terminally ill. Rather than let profit-seeking corporations exploit that opportunity and push the needle too far in the other direction, the WHO or another UN agency should provide generic morphine to patients in those countries as a humanitarian priority. The WHO and the UN should also warn their members against pharmaceutical companies with expansionist visions and questionable ethics. Just as pharmaceutical companies send their sales representatives to promote their drugs, the WHO and other public interest groups could send representatives to explain how and why the current opioid epidemic started and escalated. Trump displays a presidential public health emergency declaration on the nation's opioid crisis in the East Room of the White House, October 2017. Drug policy experts often dismiss attempts to cut down on supply, arguing that governments cannot arrest their way out of drug problems. That is largely correct when it comes to street dealers. Locking up people who are easily replaced does little to stem the flow or use of most drugs. Furthermore, prisoners who depend on opioids lose their tolerance while in prison, and some then die of overdoses when they are released. Legal drugs can bring death on a scale vastly surpassing the effects of illegal ones. Luckily, there is a wide space between the two extremes of waging war on drug dealers and users and turning over the keys of public health and safety to rapacious companies that profit by pushing addictive drugs. Authorities can stop a doctor who prescribes illegally or irresponsibly just by revoking his or her license, no expensive prison cell needed. The tactic works because the black market cannot replace those doctors. This practice is already used, but such investigations should be given greater resources. Targeting corporations is even cheaper, since the resulting fines are often larger than the costs of investigation and prosecution. To make these investigations easier, Congress should repeal the law it passed in 2016 that restricted the DEA’s power. Other countries should make sure that their law enforcement agencies are empowered to investigate and prosecute gross corporate malfeasance. A key lesson of the current epidemic repeats one from the history of tobacco: legal drugs pushed by corporations can bring death on a scale vastly surpassing the effects of illegal ones. Calls to legalize recreational opioids that fail to grapple with this reality do not deserve to be taken seriously. Governments will also need to recognize a central lesson of public health research: epidemics cannot be ended simply by managing individual cases of the disease. Take Vancouver, British Columbia, which has thoroughly embraced the idea that providing health and social services can solve drug problems. Residents have access to universal health care, drug treatment programs, syringe exchanges, supervised rooms in which they can use drugs, the overdose rescue drug naloxone, and opioid substitution treatments, including government-provided heroin. The city and the province have positioned themselves as world leaders in this harm-reduction approach. Yet the overdose death rate in the Vancouver health service delivery area rose by 36 percent in 2016, reaching 53.8 deaths per 100,000 residents last year. That is similar to the rate in West Virginia, which has few services and is the U.S. state that has been the hardest hit, where 52 people died of overdoses for every 100,000 residents in 2016. Services for people addicted to opioids are essential. But the lesson of Vancouver is that expanding health and social services without addressing opioid supply is akin to emptying an overflowing bathtub with a thimble without turning down the tap. The rise of fentanyl is both making the North American crisis worse and complicating efforts to forestall the emerging global one. For drug traffickers and dealers, fentanyl offers many advantages and could reshape the global opioid market in ways that would have important consequences for foreign policy and international relations, not just public health. Traditional illicit drugs, such as heroin and cocaine, flow through long distribution chains that include as many as ten transactions between the farmer and the user. Parts of those chains, especially the links crossing international borders, often favor large criminal organizations that can intimidate or co-opt authorities. Fentanyl, by contrast, can be produced secretly anywhere there is a chemical industry, not just where poppies grow. Fentanyl is also far less labor-intensive to make than heroin, so its sponsors gain significantly less political capital by providing jobs than do the sponsors of illegal poppy cultivation. Disrupting fentanyl production is therefore less politically costly and has fewer negative side effects for counterinsurgency and counterterrorism efforts than eradicating drug crops. And fentanyl is so concentrated that it can be mailed a kilogram at a time. That radically reduces transportation costs and the role and power of organizations whose comparative advantage lies in smuggling large shipments across international borders. These factors will drive down prices, raising consumption. But the consumption of opioids tends to rise in smaller proportion to the fall in prices. (A ten percent decrease in the price, for example, leads to an increase in use of less than ten percent.) Hence, fentanyl will tend to depress producers’ revenues and power. In countries that allow drug companies to market opioids aggressively, however, that effect will likely be more than offset by an intensifying demand for black-market opioids. Fentanyl also has the potential to alter the balance of power among drug-trafficking organizations. Mexico’s Sinaloa cartel, for example, which has long dominated the distribution of heroin and cocaine in the United States, could well lose market share to its rival Jalisco New Generation, which embraced fentanyl early, back in 2014. That is not necessarily good news, because the Sinaloa cartel has traditionally been less violent than Jalisco New Generation. If that group challenges Sinaloa’s dominance north of the Mexican border, drug-related violence within the United States could well increase, both among dealers and against law enforcement and public officials. Sinaloa has begun to adapt by moving aggressively into the distribution of fentanyl, at least on the eastern coast of the United States. It is a major supplier of the drug to New York City, for example, where drug overdose deaths last year were four times as many as homicide deaths. That’s a worrying trend, but at least Sinaloa continues to shun violence in the United States. For example, it sometimes employs nonviolent, middle-aged couples without prior criminal records to distribute fentanyl, sending them on one-time drug runs by train or car. That makes stopping them harder, but it keeps violence down. Fentanyl’s rise could also split the global drug market. In affluent places where heroin is expensive, including Canada, the United States, and Europe, users might switch to cheaper synthetics. That would leave countries that grow poppies, such as Afghanistan and Myanmar, primarily supplying neighboring countries with high addiction rates, such as China, Iran, Pakistan, and Russia. Synthetics are less likely to make inroads in those countries because they are close to heroin production areas and have lax law enforcement and porous borders, so heroin is far cheaper. All of this could reshape international relationships. If U.S. consumption shifts from plant-based to synthetic drugs, Washington’s interest in eradicating drug crops could wane, removing a decades-old source of tension between the United States and Latin American countries. From 2001 to 2009, U.S. programs to eradicate poppy fields in Afghanistan, where a large proportion of the economy depends on drugs, drove farmers to embrace militant and terrorist groups. Abandoning that approach, a major policy breakthrough of the Obama administration, has helped with counterinsurgency and nation building. The Trump administration should not resurrect it. If synthetic opioids replaced cocaine consumption or a synthetic cocaine analogue were developed, the coca-producing countries of Bolivia, Colombia, and Peru could see similar effects. It will be much harder to persuade larger and more powerful synthetic-drug-producing countries, such as China and India, to crack down on manufacturers. And because U.S. and Canadian relations with China and India cover far more issues than those with South American countries, drug control efforts would have to compete against other interests. A bifurcation in international drug markets would exacerbate splits over global drug policy, heightening differences between the interests of hawkish countries in Asia and the Middle East and those of more liberal ones in Europe and Latin America. International drug control would likely climb up the agendas of countries whose populations still relied on plant-based drugs, especially China and Russia. Russia, which is suffering from an opioid epidemic revolving around Afghan heroin, might well continue pressuring the United States to eradicate poppy fields in Afghanistan and even take it upon itself to do so. Moscow would likely view controlling drug supplies as more important than limiting the political capital the Taliban can gain from fighting to protect poppy fields. Already, Russia is courting the Taliban, perceiving the group as a lesser danger in Afghanistan than the Islamic State (also known as ISIS). Washington would be wise to engage Beijing and Moscow to educate them on the mistakes the United States has made in its fight against drugs that they should avoid and the successes they should replicate. These children have no father! How will I provide for them now?" Communication technologies are concentrated in small, urban areas. A study by the Asia Foundation estimates 88 percent of urban households have television, while only 28 percent of rural residents do.2 The digital divide in Afghanistan is a chasm; only 9 percent of the population owns a computer and most of those are in the capital, Kabul. In the Hazarajat region, there are no computer owners.3 It’s no wonder; computers need electricity. The lack of a national power grid ensures that nine out of ten Afghans have no reliable access to electricity.4Diesel generators and kerosene lamps are ubiquitous. Satellite video taken at night reveal a country plunged into medieval darkness. Extreme poverty condemns millions to a premature death. Most Afghans live on less than two dollars a day, and the average life expectancy in Afghanistan is forty-four years.5Unemployment is endemic in most parts of the country. All the missionary zeal of the well-funded, non-governmental organizations (NGOs) that have clogged Kabul’s most secure and satellite-enabled neighborhoods, ostensibly to “help” Afghans, haven’t made a dent in the amount of suffering. But in one economic area Afghanistan excels: the cultivation of opium. Opium is derived from the poppy plant Papaver somniferum. Afghanistan is the world’s number one grower and exporter of opium, supplying 90 percent of the drug to Central Asian and European markets.6It’s a position the country has held for an almost uninterrupted decade. Opium farmers are highly skilled experts at planting, growing, and harvesting poppy in difficult conditions, often on land where there is little irrigation and with no fertilizer or pesticides. It is organic farming out of necessity. Afghan farmers successfully grew poppy even during a seven-year drought. About 789,000 workers, men, women, and children are responsible for growing and harvesting poppy on just 3 percent of the land.7 Harvesting is low-tech and employs two simple tools: a neshtar (lancing stick) and a rambey (scoop). The productivity of poor Afghan opium farmers is a stunning agricultural achievement. It is even more incredible when these facts are considered: the government has declared the cultivation of opium illegal; according to Islam it’s haram (forbidden); for ten years the country has been under continuous aerial bombardment, ground assault, and occupation by the United States military and NATO forces; and counternarcotics operations are increasing. As a result, the market in opium is violent and operates within an economy and country suffused with violence. This is the backdrop to the war on drugs in Afghanistan. Two wars are being fought simultaneously: the so-called war on terror, which as this publication has argued, is an imperialist war; and a war on drugs, an assault on poor Afghan farmers and their families struggling to survive in a shattered economy. In the post 9/11 world, terror and drugs have become conflated. Afghanistan’s designation as a “narco-state” that harbors “narco-terrorists” has become a potent justification for the United States to intervene military and to ramp up the role of the Drug Enforcement Administration (DEA). The linking of terrorists, always the Taliban, with trafficking in narcotics and using the profits to fund the insurgency allows all manner of violence to be legitimized. There is a tried and true template for the war on drugs: mendacity, hypocrisy, corruption, violence, massive profits for the few, immunity from prosecution for the kingpins and government officials at the top of the illicit drug chain, and punishment and incarceration for those at the bottom. During the 1980s, Pakistan was a major opium cultivator and central hub for heroin manufacturing labs. The Central Intelligence Agency (CIA) worked closely with President General Zia-ul-Haq and funded the Pakistani military and the Inter-Service Intelligence (ISI). The CIA covertly encouraged Pakistani trafficking in drugs as a way to generate revenue to fight wars against a constantly changing cast of enemies. Economists estimated the annual revenue from Pakistan’s heroin industry at $8 to $10 billion.14 Both the Pakistani military and the ISI continue to be involved in the drug trade. Ayatollah Khomeini and subsequent ruling parties have enforced the ban with lengthy prison sentences and frequent use of the death penalty. This year alone, 126 people have been executed, many by “suspension strangulation” for drug crimes, and 300 drug-related death warrants have been issued.22 It’s estimated that 74 percent of people executed were trafficking in large quantities of opium smuggled in from Afghanistan.23 Despite the brutal crackdown, Iran continues to be both a major consumer and a critical smuggling route for opium and heroin through Baluchistan province. Opium and its most lucrative derivative, heroin, are global commodities that cross all borders regardless of their illegality. The moment the cultivation and manufacture is outlawed in one country it crosses borders or jumps continents and sets up production in another. This phenomenon is called “push down pop up”—cultivation of an illicit drug is pushed out of one area only to pop up in another. One of the immutable laws of commodity production under capitalism is if a profitable market exists as it does for psychoactive substances like narcotics and cannabis, prohibition cannot succeed. Push down pop up acts like a broom: it sweeps poppy seeds out of one country, and they take root in another. China cracks down on poppy, Thailand and Laos ramp up production. Thailand eradicates poppy, it migrates to Myanmar. Iran and Pakistan ban poppy, and it crosses the border into Afghanistan, where within ten years the country is the number one cultivator in the Golden Crescent. Push down pop up functions like a relay race, but instead of passing a baton to another runner, it’s passed to another country. The decades-long international effort to suppress the illegal opium and heroin trade clearly hasn’t worked, but that’s not a problem for US drug warriors. The goal of a drug-free world is an elaborate deception captured in the United Nations Office on Drugs and Crime (UNODC) slogan “Promoting health, security, and justice.” That the United States has declared “war” on drugs, and that the CIA has simultaneously promoted cocaine and heroin traffic for its own particular aims, show deep contradictions in US drug policy. Yet there is more of a connection between these two things than first meets the eye. There is an unelected and unaccountable multinational cabal of counternarcotics agencies led by the UNODC that have an ideological and material stake in continuing the war on drugs (and consequently, the drug trade). The United States wants and needs a nonstop war on drugs abroad as a pretext to invade or intervene in countries they seek to control for geostrategic purposes. That is the real, but hidden agenda of the international war on drugs. The consistent “failure” of the war is its success. The near total devastation of the rural economy of legal agricultural products by warfare acted as a vector for the illegal cultivation of opium. Poppy is one of the few crops that can grow in harsh conditions. The plant is relatively weather and drought resistant; it matures quickly, doesn’t rot or bruise, needs less water than other crops, and can be double cropped. Afghanistan lacks refrigeration, rapid transportation and paved roads, but opium is easily stored, transported, and conveniently sold at the farm gate. The labor-intensive nature of opium planting and harvesting also provides employment for entire families in a country where rural unemployment is persistently high. It’s survival farming and worth the risk for some farmers to grow opium because it’s the only commodity guaranteed an export market. The economic meltdown and political instability caused by a decade of war, coupled with the loss of Russian and American funding once the war was over, set the stage for several mujahideen leaders to become major players and purveyors in the poppy trade with the backing and blessing of the CIA. Afghans were pawns in the great game that was the Cold War proxy wars, so supplying arms and cash to drug trafficking mujahideen “freedom fighters” to fight the Soviets was of no concern to Washington: the defeat of the Russians was. Narcotics production posed no serious dilemma for Islamic leaders either, despite the teachings of the Qur’an which forbid it.26 In 1981, Mullah Nasim Akhundzada, issued a fatwa (religious ruling) sanctioning poppy cultivation, and his brother Mohammed Rasul proclaimed, “We must grow and sell opium to fight our holy war against the Russian nonbelievers.”27 The superprofits from poppy make believers and hypocrites out of everyone. Two years later, Hekmatyar instigated a turf war with Mullah Akhundzada to seize control of opium production in the northern Helmand Valley but was repelled. Akhundzada decided to get out of the drug business and cut a deal with Robert Oakley, US ambassador to Pakistan at the time. For $2 million in “aid money” to be paid to him personally, the mullah agreed to curtail poppy cultivation. He kept his end of the bargain but Oakley reneged, invoking US law against negotiating with drug dealers.31 Large-scale poppy planting began the next season. The leading warlords of the Northern Alliance, Ahmed Shah Massoud, Burhanuddin Rabbani, and Abdul Rashid Dostum, were involved all along the poppy chain, from taxing and transporting opium, to manufacturing it into heroin, and smuggling it across the border.32 The vast revenue from the drug trade allowed mujahideen commanders to switch from tribal warlords into drug warlords with more power, giving them the ability to control key areas of the country and allowing them to depend less on funding from external sources. The withdrawal of Soviet forces in 1989 plunged the country into a civil war. The siege of Kabul reduced the city to dust and crushed piles of concrete; the civilian death toll was between 65,000 and 80,000.33 Rural areas were the scenes of fierce and protracted fighting. But throughout the six years of civil war the opium trade—bullet, beheading, and bomb proof—flourished despite an attempt by the newly emerging Taliban to suppress it. When the Taliban moved in to vie for control of Helmand Province in 1995, poppy cultivation was declared haram, and production dropped by one-third. The ban caught the attention of the United States and international drug interdiction agencies who voiced support for the Taliban, believing they’d become partners in a total poppy eradication campaign.34 But the poor and war-ravaged poppy farmers in Helmand had other ideas and resisted the ban, forcing the Taliban to rescind it the following year. In order to secure the key provinces of Helmand and Kandahar—the iron lungs of poppy production in Afghanistan—Taliban commanders quickly realized they couldn’t outlaw cultivation and win allegiance to their rule. The Taliban consolidated power in Afghanistan in 1996 and inherited an economy disintegrated by sixteen years of war. Opium export earnings powered what was left of the economy. The Taliban concocted a contradictory and self-serving edict on drugs decreeing, “The cultivation of and trading in charas (hashish) is forbidden absolutely. The consumption oftariak (heroin) is forbidden, as is the manufacture of tariak, but the production of and trading in opium is not forbidden.”35 Abdul Rashid, head of the Taliban’s counter-narcotics force gave the edict an Islamic twist, “Opium is permissible because it is consumed by kafirs (infidels) in the West and not by Afghans.”36 Exhibiting the Taliban leaders’ understanding of the politics of the drug economy, Rashid added, “We cannot push the people to grow wheat as there would be an uprising against the Taliban if we forced them to stop poppy cultivation. So we grow opium and get our wheat from Pakistan.” The Taliban collected up to 20 percent of the value of each drug shipment as a special form of zakat, an Islamic tax where Muslims give 2.5 percent of their annual disposable income and savings to the poor and needy. Regional warlords, police, and bandits imposed their own zakat to be paid in drugs or cash at checkpoints that dotted all major drug transiting routes out of Afghanistan. Afghanistan was further isolated from the world and cut off from aid that could rebuild a more diversified economic infrastructure in 1999, when the United States introduced and passed Resolution 1267 in the United Nations Security Council. The resolution imposed sanctions on the Taliban. Flights out of the country by the state­owned airline Ariana were banned, and Taliban assets were frozen, triggering a humanitarian crisis.37 The imposition of sanctions disproportionately impacted the Afghan people, not Taliban leaders. Resolution 1267 virtually guaranteed that poppy cultivation would not only continue but increase, as the development of other agricultural crops couldn’t be financed or find markets. The ban on poppy was rescinded on September 2, 2001, nine days before 9/11. The next month, the United States invaded Afghanistan, toppled the Taliban regime with the help of the Northern Alliance, and installed Hamid Karzai. One of his first decrees was the banning of growing, trafficking, and consumption of opium and heroin. But the lucrative business of opium continued despite the decree, and with the Taliban decamping to Quetta in Pakistan, drug dealers aligned with the United States and the Karzai government took their place. The Obama administration suspended poppy eradication programs in 2009 at the urging of Richard Holbrooke, the former US envoy to Afghanistan, who stated, “The United States alone is spending over $800 million a year on counternarcotics. We have gotten nothing out of it. It is the most wasteful and ineffective program I have seen in 40 years.”61 And they finally figured out that poppy eradication forced Afghans to seek the Taliban’s protection and convinced them to join the insurgency. But the war on drugs in Afghanistan is far from over. It continues under the Karzai government with the increased involvement of the DEA. Governor-led eradication teams (GLEs) destroy poppy fields, and DEA agents target drug labs and traffickers. US counternarcotics programs have become increasingly militarized under the Obama administration. For all intents and purposes, the DEA operates as a division of the US military. DEA agents train with US Navy SEAL and special operations units, and they share intelligence and conduct joint operations.62The goals of the DEA and the US military bleed into one another: Capture or kill high-value drug traffickers suspected of supporting and financing the Taliban. DEA teams called Foreign-Deployed Assistance and Support Teams (FAST), largely funded by the Department of Defense, carry out drug raids.63 The FAST partner with Navy SEALS and the Counternarcotics Police of Afghanistan (CNPA) to carry out these raids, which are similar to the “night raids” conducted by US and NATO forces. Bombs are dropped on land where counternarcotics agencies suspect that drugs are buried, and compounds are destroyed in the search for drugs and weapons. In 2008, FAST teams were deployed to Spin Boldak and burned bricks of hashish in areas under Taliban control. In 2009, US troops engaged in direct support of a forced eradication mission as part of a security detachment for Afghan counternarcotics forces in the Nadi-Ali district in Helmand province.64 During drug raids, Afghans are routinely beaten, humiliated, killed, and imprisoned. For years, Afghan and US officials promised compensation for eradication of poppy and consistently reneged or provided insufficient payment to farmers. Rebuilding an economic infrastructure with agriculture wasn’t a priority or even a part of the government’s “Afghan Stabilization Program.” It defined key infrastructure as: police barracks, a prison, a post office, and a mosque.66 A collection of NGOs led by USAID promised reconstruction projects, alternative agricultural development, and work opportunities, but failed to deliver for a raft of reasons. Over $35.4 billion in aid has been pumped into Afghanistan since 2002, yet the nation still ranks as the second poorest on the planet.67 Where did all the money go? Staggering levels of corruption exist in Afghanistan. Thousands of officials in the Karzai government, from Kabul to Kandahar, engage in extortion, stealing, and embezzlement of public money and humanitarian assistance. Billions earmarked for economic development have disappeared into the pockets and foreign bank accounts of warlords and drug lords, now legitimate government representatives, while the vast majority of Afghans continue to live in abject poverty. Other WikiLeaks cables reveal that the CIA believed Muhammad Fahim, the former Defense Minister and current First Vice President, is involved in the drug trade. His predecessor, Ahmed Zia Massoud, was. On a “capital flight,” he flew into Dubai with $52 million in cash.72 General Mohammed Daud Daud, the former deputy minister of the interior and the head of the Counternarcotics Police of Afghanistan (CNPA), provided protection for drug smugglers and accepted bribes.73 General Daud was killed in a suicide bombing attack in May of this year. Not to be outdone, President Karzai has pardoned and placed in positions of power dozens of accused and convicted drug traffickers. The Bush administration, seeing the need to further demonize the Taliban to justify an increasingly unpopular war, began to whip up the notion of “narco-terrorism.” In 2005, Congress passed the Narco-Terrorism Enforcement Act as an amendment to the USA PATRIOT Act. The law permits criminal prosecution against any person in any country that traffics in illicit drugs and uses the proceeds to fund “terrorist” activities. US lawyers are concerned the law can be interpreted so broadly that it could ensnare anyone the government wants.74 The law has been used almost exclusively against Afghan drug traffickers accused of supporting the Taliban. Khan Mohammed was the first person charged and convicted under the new law. Prosecutors argued he was “closely aligned with the Taliban” and had “supported the Taliban’s efforts to forcibly remove the United States and its allies from Afghanistan.”75 He is serving a life sentence. Poppy cultivation in Afghanistan is not the problem, the prohibition of poppy cultivation is. The International Narcotics Control Board (INCB) licenses countries to legally supply narcotics raw material to the pharmaceutical industry to process into a variety of pain medications. The countries include: Australia, France, Hungary, India, Poland, Spain, and Turkey. The contradictions in current global drug policy mean the same drug that generates income for farmers and workers and profits for the pharmaceutical industry in rich countries, criminalizes poor people in Afghanistan who cultivate poppy for an illegal market in order to survive. Afghanistan should be allowed to join these nations and provide raw materials to the legal market. There will always be a market for morphine. An Afghan pharmaceutical industry anchored by the production of morphine for domestic use and for international export retains the profits that accrue to a minority and spreads them further down the poppy chain to the farmers, seasonal laborers, and workers in laboratories. Licensing the cultivation of poppy would end the salaam system that keeps farmers in a perpetual cycle of debt and crucially, the sexual slavery of women and girls sold as opium brides. Licensing farmers to grow poppy recognizes the obvious reality that a thriving narcotics industry exists, and with legal status, the expertise of Afghans involved in the poppy chain from cultivation to the manufacture of morphine is turned into a positive instead of a negative. Unfortunately, the politics of ICOS are right-wing and undermine the viability of P4M. ICOS is an NGO that doesn’t believe in conflict-neutrality or the right of nations to self-determination.91ICOS wholeheartedly supports US imperialism, endorsed the troop surge, and opposed the US drawdown in troops. ICOS recommends maintaining the surge for another year.92 That puts the NGO in direct opposition to what the majority of Afghans want: foreign troops out. Their support of the occupation actually jeopardizes the implementation of P4M by setting up Afghan communities involved in the project as targets for the Taliban, the very people ICOS purports to help. Licensing narcotics production and legalizing consumption in Afghanistan confronts huge challenges and powerful entrenched interests. Key state actors in the Karzai government, provincial drug kingpins, and counterinsurgent forces benefit from the illegal drug trade. These three groups have the power to sabotage reforms to retain their profits. But it’s also true that a layer of them would benefit from the creation of a legal pharmaceutical infrastructure which would create profits, confer legitimacy in the international community, and end Afghanistan’s designation as a “narco-state.” The outlaw Afghan drug dealers of today could be transformed into “respectable” CEOs of legal narcotics manufacturing businesses. There’s no doubt there would still be corruption, but it’s better and easier to deal with the problems of corruption under conditions of legality than the conditions of violent illegality. Poppy farmers have consistently fought to grow and sell poppy. Thousands of farmers have demonstrated their power for years by halting the eradication of their fields by both the Karzai government and the Taliban when they held power. Poppy farmers play a crucial role in the illegal drug trade and if they took up the fight for licensing and legalization it could be a game changer. Afghan poppy farmers have everything to gain from transitioning from criminals with no rights, into legal growers with rights who are viewed as rebuilding Afghanistan’s economy, not destroying it. It’s not possible to predict with complete certainty the future of Afghanistan except for one thing: As long as poppy cultivation and narcotics consumption is illegal, the drug trade will continue to reward and enrich a minority of drug lords and punish and impoverish the majority of poppy farmers, low-level drug trade workers, and the drug addicted. I dedicate this article to the people of Afghanistan, who are as tenacious as Papaver somniferum. Props to the following people for assistance in writing this article: Jorrit Kamminga, Director of Policy Research at ICOS for debate and discussion about Poppies for Medicine (P4M); David Whitehouse for critical comments; Anand Gopal for consultation; John Shuler & Anne Armstrong, UIC librarians extraordinaire, for finding the sources when I couldn’t. Mohammed Osman Tariq, Najla Ayoubi, Faxel Rabi Haqbeen. Afghanistan in 2010: A Survey of the Afghan People. The Asia Foundation, 155. http://www.asiafoundation.org. The survey is extensive, but some of the key findings are dubious. The survey polled Afghans across all 34 provinces on issues ranging from the economy, to corruption, to women’s issues. In-person interviews were conducted in Dari and Pashto with 6,467 men and women from different social, economic, and ethnic communities (Pashtun, Tajik, Uzbek, Hazara, Turkmen, Baloch) in rural and urban parts of the country. However, there were problems with sampling due to the high levels of violence and insecurity in areas outside of Kabul. Interviewers weren’t able to get into twenty-one districts. The reason referred to in the survey was, “The district is under control of Taliban.” This skewed the results. Also, the study shows the Taliban control all major opium producing provinces. Among them: Helmand, Kandahar, Nirmroz, Farah, Balkh, and Sari-i-Pul. See Appendix 2: Methodology, 161-181. “Afghanistan electricity: After years of rebuilding, most Afghans lack power,” Huffington Post, July 19, 2010, huffingtonpost.com. World Health Organization (WHO). Afghanistan: health profile, 2008, http://www.who.int/gho/countries/afg.pdf. Citha D. Maass, “Afghanistan’s drug career: Evolution from a war economy to a drug economy,” Afghanistan Analysts Network, March 31, 2011, 1, http://aan-afghanistan.com/uploads/2011 ... rug_Career—FINAL.pdf. Letizia Paoli, Victoria A. Greenfield & Peter Reuter, The World Heroin Market: Can Supply Be Cut? (New York: Oxford University Press, 2009), 118-119. I’ve combined 309,000, the number of estimated households involved in opium growing with 480,000, the number of itinerant workers engaged in various aspects of poppy cultivation. Estimating the numbers of people involved at each level of the drug trade is notoriously difficult because it is illegal. If all the workers engaged in all the aspects of the drug trade are added together, the number rises to 1.6 million. These statistics are from the United Nations Office on Drugs and Crime (UNODC.) They are imprecise and rough estimates only. Paoli, Greenfield & Reuter, 33. China continues to execute people involved at all levels of the drug trade. Wei Hao, Shuiyuan Xiao, Teiqiao Liu, Derson Young, Shanmei Chen, Diran Zhang, Chao Li, et al., “The second national epidemiological survey on illicit drug use at six high-prevalence areas in China: prevalence rates and use patterns, Addiction,” V. 97, 10, September 20, 2002. Paoli, Greenfield & Reuter, 111. See also, “Myanmar: UN reports ‘worrisome’ rise in opium cultivation,” UN News Center, December 14, 2009. http://www.un.org/apps/news/story.asp?C ... wsID=33236. Matthew Brzezinski, “Heroin: The sleek new business model for the ultimate global product,” New York Times Magazine, June 23, 2002, 26. The vast majority of people put in prison for drug crimes are “low-level” workers and earn small amounts of money. The women in this article were each paid about $20 for transporting a kilo of heroin that is worth between $4500-$9500. UN News Centre, “New UN survey reveals surge in Myanmar’s opium production,” October 10, 2007, http://www.un.org/apps/news/story.asp?N ... 7&Cr=&Cr1=. Paoli, Greenfield & Reuter. 144. The Central Bureau of Narcotics (CBN) negotiates with licensed farmers to determine how much opium they’ll grow each year using a system called minimum qualifying yield (MQY.) Disagreements over MQY led poppy farmers to strike. In 1997, 30,000 cultivators went out on strike demanding reductions in MQY. The CBN replaced most of the striking farmers but the harvest in 1998 was one of the smallest ever recorded. Alfred W. McCoy, The Politics of Heroin: CIA Complicity in the Global Drug Trade, Afghanistan, Southeast Asia, Central America, Colombia (Chicago: Lawrence Hill Books, 2003, Revised Edition), 483. McCoy’s seminal work exhaustively and conclusively documents in 680 pages the CIA’s sinister role in the world drug trade. FATA and Balochistan are populated and essentially governed by fiercely independent tribes that have engaged in consistent armed conflicts with the Pakistani army. In 2002, after Pakistan and the United States sent forces into the region to hunt down Osama bin Laden but instead killed civilians, an insurgency erupted in Waziristan. Balochs have repeatedly fought for independence from Pakistan and have been brutally crushed. As a result, the Pakistani government can’t easily intervene in the cross-border drug trade. Kathy Evans, The Tribal Trail, Newsline (Karachi), December 1989, 24. “Illicit drug trends in Pakistan.” United Nations Office on Drugs and Crime, (UNODC) Country Office, Pakistan, April 2008, 6. http://www.unodc.org/documents/regional ... n_rev1.pdf. Iqbal Khattak, “Increase in poppy cultivation in Pakistan in 2003,” http://www.mamacoca.org/FSMT_sept_2003/ ... 003_en.htm. See also David Macdonald, Drugs in Afghanistan: Opium, Outlaws and Scorpion Tales (London: Pluto Press, 2007), 78. Garland H. Williams, “Opium Addiction in Iran,” report to H. J. Anslinger, Commissioner of Narcotics, February 1, 1949, 1-12. (Historical Collections and Labor Archives, Pennsylvania State University.) It’s important to note that many writers on the drug war refer to all drug use as addiction when in fact there is a continuum of drug use, and the vast majority use drugs recreationally and are not addicted. “Epidemiology of drug use in Iran,” United Nations Office on Drugs and Crime (UNODC), February 6, 2011, http://www.unodc.org/iran/en/epidemiology.html. The opiate maintenance program was restricted to users 60 years and older. Users were given “opium tablets” or methadone, a synthetic opiate. “Iran, Pakistan on frontline in war on drugs,” Tehran Times, November 27, 2010. Over 100,000 Iranians have been injured in the War on Drugs. http://www.tehrantimes.com. Matthew Cardinale, “Iran executing hundreds in war on drugs,” IPS, June 27, 2011, http://www.ipsnews.net In 2010, Iran executed 590 people for drug offences. International Campaign to Ban Landmines. “Afghanistan: Landmine Fact Sheet,” http://www.afghan-network.net/Landmines/. UN Office for the Coordination of Humanitarian Affairs, “In-depth: Bitter-sweet harvest: Afghanistan’s new war, opium and ­alternative livelihoods, August 2, 2004, http://www.irinnews.org/InDepthMain.asp ... rtId=63020. Vanda Felbab-Brown, Shooting Up: Counterinsurgency and the War on Drugs (Washington, DC: Brookings Institute Press, 2010), 116. Barnett R. Rubin, The Fragmentation of Afghanistan: State Formation and Collapse in the International System (New Haven: Yale University Press, 1995), 183. Amir Zada Asad & Robert Harris, The Politics and Economics of Drug Production on the Pakistan-Afghanistan Border (Surrey: Ashgate, 2003), 147. Felbab-Brown, 120. The CIA continued to fund Massoud through the 1990s. See Steve Coll, Ghost Wars: The Secret History of the CIA, Afghanistan and Bin Laden, from the Soviet Invasion to September 10, 2001 (New York: Penguin Press, 2004). Malalai Joya, A Woman Among Warlords (New York: Scribner, 2009), 26. Michael Griffin, Reaping the Whirlwind: The Taliban Movement in Afghanistan (London: Pluto Press, 2001), p. 153. Quoted in Ahmed Rashid, Descent into Chaos: The United States and the Failure of Nation-Building in Pakistan, Afghanistan, and Central Asia, (New York: Viking, 2008), 317. This isn’t true. Thousands of Afghans of all ages use opium. It’s used medicinally to treat a range of health problems and to treat pain, especially in rural areas where there is no health care or access to non-narcotic pain medication. Afghans also smoke opium recreationally and inject heroin. In Kabul, the World Health Organization estimates there are 150,000 heroin injectors. There is a dearth of drug treatment programs across the country. Sonali Kolhatkar & James Ingalls, Bleeding Afghanistan, (New York: Seven Stories Press, 2006,) 32-33. James Bovard, “Bush’s opium boom,” Future of Freedom, May 28, 2003, http://www.fff.org/freedom/fd0304d.asp. Dexter Filkins, “Afghan tribe vowing to fight Taliban to get U.S. aid in return,” New York Times, January 27, 2010. “Summary findings of opium trends in Afghanistan,” UNODC http://www.unodc.org/pdf/afghanistan_20 ... -09-09.pdf. Paul Harris, “Victorious warlords set to open the opium floodgates,” Observer, November 25, 2001. David Mansfield, “The impact of the Taliban prohibition on opium cultivation in Afghanistan,” May 25 2001, http://www.davidmansfield.org/all.php. Sami Yousafzai, “The opium brides of Afghanistan,” Newsweek, March 29, 2008. Ibid. See also, Elaheh Rostami-Povey, Afghan Women: Identity & Invasion (London: Zed Books, 2007), 55-59. David Mansfield, “The economic superiority of illicit drug production: Myth and reality. Opium poppy cultivation in Afghanistan,” August, 2001, http://www.davidmansfield.org/all.php. “In-depth: Bitter-sweet harvest: Afghanistan’s new war. Afghan women and opium,” 2004, http://www.irinnews.org/InDepthMain.asp ... rtId=62950. John Pilger, “Breaking the silence: Truth and lies in the war on terror, a special report,” 2003, http://www.bullfrogfilms.com/guides/breakguide.pdf. James A. Nathan, “Poppy blues: The collapse of poppy eradication and the road ahead in Afghanistan,” Defense & Security Analysis, Vol. 25, Issue 4, 2009, 334. Joel Hafvenstein, Opium Season: A Year on the Afghan Frontier, (Connecticut: Lyons Press, 2007), 211. The title of the book is a misnomer. It’s not about opium, it’s about the challenges and dangers of an inexperienced project manager/missionary in rural Afghanistan who works for Chemonics, an international development consulting firm. Hafvenstein is no expert on opium in Afghanistan although he portrays himself as such. Arman-e-Milli, “The people of Nangarhar oppose the campaign against poppy,” Afghanwire, February 20, 2007, http://www.afghanwire.com/article.php?id=4201. Arman-e-Milli, “People clash with security officials,” Afghanwire, April 3, 2007, http://www.afghanwire.com/article.php?id=4995. David Charter and Tom Baldwin, “Obama changes tactics in ‘disastrous’ war against Afghanistan’s heroin producers,” Sunday Times, March 23, 2009. Chuck Holton, “DEA agents target Afghanistan’s ‘narco-insurgency’,” CBN News, April 27, 2010, http://www.cbn.com/cbnnews/world/2010/A ... nsurgency/. Richard P. Kaufman, “America’s opium war: How the wrong approach to counternarcotics is undermining state-building in Afghanistan,” June 9, 2008, http://www.sais-jhu.edu/bin/w/a/KAUFMANFinal.pdf. Seth G. Jones, In the Graveyard of Empires: America’s War in Afghanistan (New York: Norton, 2009), 173. “Afghans wealthier, remain among the poorest,” Killid Correspondents, Asia Times Online, January 29 2010, http://www.atimes.com/atimes/South_Asia/LA29Df04.html. “Corruption widespread in Afghanistan, UNODC survey says,” January 19, 2010, http://www.unodc.org/unodc/en/frontpage ... -says.html. Ryan Harvey, “The Afghan war: spreading democracy (and heroin),” December 10, 2010, Truthout.org, http://www.truth-out.org. Peter Goodspeed, “Ahmed Wali Karzai: From waiter to ‘King of Kandahar’,” National Post, May 28, 2010, http://www.rawa.org. Anand Gopal, “When personalities trump institutions: Two assassinations in Afghanistan,” Foreign Policy, July 18, 2011. Jonathan Steele and Jon Boone, “Wikileaks: Afghan vice-president landed in Dubai with $52m in cash,” Guardian, December 2, 2010, http://www.guardian.co.uk Ahmed Zia Massoud is the son of deceased Northern Alliance warlord Ahmed Shah Massoud, who was also involved in the drug trade. Graeme Smith, “Afghan officials in drug trade cut deals across enemy lines,” Globe and Mail, March 11, 2009, http://www.militaryphotos.net. John E. Thomas, Jr., “Narco-terrorism: Could the legislative and prosecutorial responses threaten our civil liberties?” Washington and Lee Law Review, 2009, http://www.law.wlu.edu/deptimages/Law%2 ... asNote.pdf. Benjamin Weiser, “Afghan linked to Taliban sentenced to life in drug trafficking case,” New York Times, May 1, 2009. Bashar’s arrest was a classic DEA set-up. Agents promised he wouldn’t be detained if he came to the United States. They lied. After 11 days of meetings with federal agents, Bashar was arrested. Juma was arrested in Jakarta and extradited to New York under the 2005 international narco-terrorism law. William Byrd, “Afghanistan: State building, sustaining growth and reducing poverty,” 2005, http://elibrary.worldbank.org/content/b ... 0821360958. Hajji Bashar was given a life sentence. Hajji Khan is awaiting trial. Peter Kenyon, “Exploring the Taliban’s complex, shadowy finances,” National Public Radio, March 19, 2010, http://www.npr.org/templates/story/stor ... =124821049. “Availability of internationally controlled drugs: Ensuring adequate access for medical and scientific purposes,” International Narcotics Control Board, 2010, http://www.incb.org/pdf/annual-report/2 ... Supp_E.pdf. See also, International Council on Security and Development, Poppies for Medicine Project, http://www.poppyformedicine.net/. “WHO model list of essential medications,” 16th list, March 2009, http://www.who.int/selection_medicines/ ... ist_en.pdf. Atul Gawande, The Checklist Manifesto: How to Get Things Right (New York: Metropolitan Books, 2009), 31. “Army request for burn unit & maternity ward in Herat,” June 2007, Spirit of America, http://www.spiritofamerica.net/cgi-bin/ ... est_id=133. Case study: “War zone hospitals in Afghanistan: A symbol of willful neglect,” The International Council on Security and Development, February, 2007, http://www.icosgroup.net/static/reports ... Report.pdf. Fentanyl is a synthetic opioid that is 100 times more potent than morphine. The fentanyl lollipop is put under the tongue which is super vascular, and the opiate is absorbed rapidly into the bloodstream. Pain is relieved within minutes. Fentanyl lollipops are given to wounded soldiers in the battlefield to treat acute pain and to cancer patients. See the Drug Policy Alliances’ website on harm reduction interventions around the world, including heroin-assisted treatment, http://www.drugpolicy.org. “Poppy For Medicine: Licensing poppy cultivation for the production of essential medicines: on an integrated counter-narcotics, development, and counter-insurgency model for Afghanistan,” 2007, http://www.poppyformedicine.net/. P4M proposes to sell finished poppy-based medicines to less developed countries that lack access under a two-tier system. According to P4M, “A second tier system of product supply is most useful where a significant sector of consumers are disconnected from the overall market for that product having been priced out, or ignored altogether.” This is a nice way of saying the drug companies have no interest in selling medicine to poor people in poor countries. There’s no profit in that. The international HIV/AIDS crisis put a spotlight on the criminal and monopolistic pricing practices of the pharmaceutical industry. See Elizabeth Terzakis’s article, “The global AIDS crisis,” International Socialist Review 25, September–October 2002. Romesh Bhattacharji & Jorrit E.M. Kamminga, “Poppy for medicine: An essential part of a balanced economic development solution for Afghanistan’s illegal opium economy,” Journal of Drug Policy Analysis, Vol. 3, Issue 1, Article 3, 2010, 7. Ashley Jackson, “Nowhere to turn: The failure to protect civilians in Afghanistan,” A joint briefing paper by 29 aid organizations working in Afghanistan for the NATO heads of government summit, Lisbon, November 19, 2010, Oxfam International, Afghanistan. The guidelines for the Interaction of Civilian and Military Actors in Afghanistan state, “Maintaining a clear distinction between the role and function of humanitarian actors from that of the military is a determining factor in creating an operating environment in which humanitarian organizations can discharge their responsibilities both effectively and safely.” ICOS is not a signatory to the Joint Briefing Paper. Jorrit E. M. Kamminga, “Opium poppy licensing in Turkey: A model to solve Afghanistan’s illegal opium economy?, International Council on Security and Development, January 2011, http://www.icosgroup.net. Ethan A. Nadelmann, “Thinking seriously about alternatives to drug prohibition,” Daedalus, Vol. 121:3, 1992, 114. Paoli, Greenfield & Reuter, 260. The United States is the largest importer of opiates. In 1981, the DEA began enforcement of a policy that the pharmaceutical industry could only import narcotics raw materials from an approved list of source countries. It’s called the 80/20 rule. It dictates that India and Turkey must be the source of at least 80 percent­­­ of all opiates. Recent article doesn't directly address the tariff repercussions cited by liminal up-thread, but more on the China Connection...which, if the data reported is correct, and if the Zheng organization (referred to in past-tense) has reorganized and/or has competitors, the epidemic's future is assured and can only grow w/no fix in sight. By furthering the 'trade' war with China, the U.S. is sacrificing growing numbers in a population it must care little to nothing about. The Zheng drug trafficking organization was hardly clandestine. The Shanghai-based network sold synthetic narcotics, including deadly fentanyl, on websites posted in 35 languages, from Arabic and English to Icelandic and Uzbek. The Chinese syndicate bragged that its laboratory could “synthesize nearly any” drug and that it churned out 16 tons of illicit chemicals a month. The group was so adept at smuggling, and so brazen in its marketing, that it offered a money-back guarantee to buyers if its goods were seized by U.S. or other customs agents..
Over the last decade, federal officials say, the Zheng group mailed and shipped fentanyl and similar illicit chemicals to customers in more than 25 countries and 35 U.S. states. U.S. officials say the syndicate’s success, laid bare in a recent federal indictment, partly helps explain America’s skyrocketing death toll from drug overdoses. Fentanyl – 50 times more potent than heroin – and related laboratory-crafted drugs have become the No. 1 cause of opioid-related overdose deaths. And rogue chemical companies in China – operating openly and outside the reach of U.S. authorities – are the largest single source of the deadly drugs, law enforcement officials say. Nearly 29,000 people died last year in the United States from overdoses linked to synthetic opioids, a category that experts say is dominated by fentanyl and its chemical cousins – a staggering surge from the 3,100 such deaths reported in 2013. One reason for the increase: The drug is so powerful that a sugar-packet-sized bag of it can contain 500 lethal doses. That also means it can be smuggled through the mail in what officials call micro-shipments, which are far harder to identify and interdict than bulkier loads of heroin, cocaine or marijuana. While total fentanyl seizures more than doubled last year, to 1,196 pounds, officials say far more of the illicit drug is getting through. Some of the biggest fentanyl busts have been in California because of the Mexican connection. In September, for example, U.S. Customs and Border Protection agents seized 52 pounds of powdered fentanyl at the Pine Valley checkpoint near San Diego – and that wasn’t a record. In December, officers discovered nearly 80 pounds in a college student’s car. This summer, authorities discovered 20,000 fentanyl pills in a hidden compartment of a Mini Cooper at the San Ysidro checkpoint – a week after confiscating 11,500 pills in another vehicle. U.S. drug dealers also purchase directly from China with a few clicks of a computer mouse on company websites or in so-called dark web drug bazaars, where communications are encrypted and dealers often pay with cryptocurrencies or gift cards that are difficult to trace. It said investigators, “posing as a first-time fentanyl purchaser,” had contacted six online sellers overseas, and each offered to ship purchases to the United States – sometimes with aggressive salesmanship. Fentanyl was developed decades ago as an ultra-powerful painkiller – 100 times more potent than morphine – for use in surgery. It is still used to help hospice-level cancer patients. 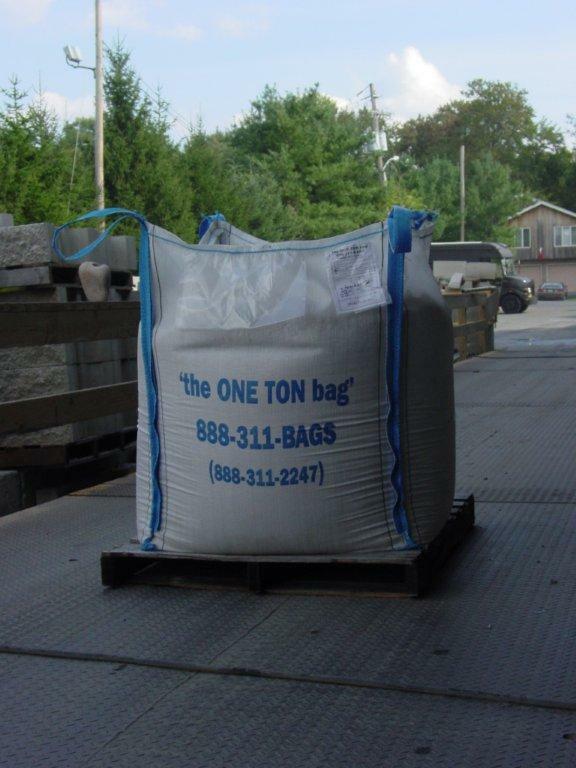 x 16 tons/month x 12 = just shy of 200 tons a year (almost 400,000 lbs). The drug is so powerful that a sugar-packet-sized bag of it can contain 500 lethal doses. That also means it can be smuggled through the mail in what officials call micro-shipments, which are far harder to identify and interdict than bulkier loads of heroin, cocaine or marijuana. In the funeral industry, the spike in business due to overdose deaths is not appreciated by most and, (in my area at least) I've heard it taking a very high emotional toll on funeral home employees. CLEVELAND – The opioid crisis in Northeast Ohio is changing how those who provide afterlife care do their jobs. Not only are they seeing more overdose deaths, but each one brings its own unique challenges that could leave funeral home staff and their guests at risk. From accidental exposure to powerful drugs to fights breaking out during a service, it’s the new reality for those who consider themselves the last responders to this deadly problem. Funeral homes are now forced to change with the times. The National Funeral Directors Association is recommending that its members across the country train their staff on how to recognize signs of an overdose and make sure they’re also prepared to administer naloxone. For so many, the search for that next high costs them everything. “We see the end result here at the funeral home. It’s shattering families,” said Mark Busch. Busch, co-owner of Busch Funeral Home, sees nearly a half dozen overdose deaths every month. Right now, some funeral homes are not taking chances and are implementing a naloxone protocol. “It is something we are considering and evaluating at this time,” said Busch. Busch said there’s growing concern in his line of work as he watches this crisis escalate. “I’ve had colleagues of mine that have had overdoses occur within their funeral homes,” said Busch. Guests at memorial services for a friend or family member who overdosed may turn to the same drugs that killed their loved one. “That’s the unbelievable power and grip of this drug that it can’t be broken by someone just seeing they’ve had the death of their friend,” said Busch. Busch said the ruthless cycle of overdoses knows no bounds. “We’ve not only buried and or provided services for one member of a family, but we’ve provided services for another member of the same family,” said Busch. Exposure to dangerous drugs is not the only safety threat surfacing. Those who are among the mourners could also lead to trouble. “It’s a different dynamic that I would not expect a funeral home to be faced with during the course of my career,” said Busch. In many overdose deaths, Busch sees angry, divided families, leaving funeral home staff in the middle as tensions rise. “We become an arbitrator, a mediator. One side of the family over here – the other side of the family over here,” said Busch. As a steady stream of grief-stricken families come in, Busch has grown frustrated. “It is a crisis that I still do not believe is being adequately addressed,” said Busch. ...Across the country, the opioid epidemic is putting a strain on already stressed county medical examiner and coroners’ offices — “busting the cracks wide open,” said Andrew Baker, M.D., chief medical examiner for Hennepin County, Minn. I remember reading this NYT article from October 2017; I wonder if the areas addressed have improved or worsened in a year's time (I hope that the career/spiritual changes on Dr. Andrew's path improve his life and the lives of those he works with ). CONCORD, N.H. — In the state morgue here, in the industrial maze of a hospital basement, Dr. Thomas A. Andrew was slicing through the lung of a 36-year-old woman when white foam seeped out onto the autopsy table. Foam in the lungs is a sign of acute intoxication caused by an opioid. So is a swollen brain, which she also had. But Dr. Andrew, the chief medical examiner of New Hampshire, would not be certain of the cause of death until he could rule out other causes, like a brain aneurysm or foul play, and until after the woman’s blood tests had come back. With the nation snared in what the government says is the worst drug epidemic in its history, routine autopsies like this one, which take more than two hours, are overtaxing medical examiners everywhere. As Dr. Andrew, an energetic man of 60 who, with his close-cropped gray beard, resembles the actor Richard Dreyfuss, has watched the drug toll mount, he is no longer content simply to catalog it. He wants to try, in his own small way, to stop it. After laboring here as the chief forensic pathologist for two decades, exploring the mysteries of the dead, he retired last month to explore the mysteries of the soul. In a sharp career turn, he is entering a seminary program to pursue a divinity degree, and ultimately plans to minister to young people to stay away from drugs. This is especially true in New Hampshire, which has more deaths per capita from synthetic opioids like fentanyl than any other state. Last year the overdose death toll here reached nearly 500, almost 10 times the number in 2000. Some medical examiners, especially in hard-hit Ohio, have had to store their corpses in cold-storage trailers in their parking lots. In Manatee County, Fla., Dr. Russell Vega, the chief medical examiner, said that when he reaches “overflow” conditions, he relies on a private body transport service to store the bodies elsewhere until his office can catch up. In Milwaukee, Dr. Brian L. Peterson, the chief medical examiner, said that apart from the “tsunami” of bodies — his autopsy volume is up 12 percent from last year — the national drug crisis has led to staff burnout, drained budgets and threats to the accreditation of many offices because they have to perform more autopsies than industry standards allow. At the same time, severe staff shortages unrelated to the drug crisis are crippling the profession, said Dr. Peterson, who is president of the National Association of Medical Examiners, which oversees accreditation. Few people go into forensic pathology in the first place, he said, largely because of low salaries, and as more forensic pathologists retire, fewer are replenishing the supply. The result, Dr. Peterson said, is a national crisis that has already cost at least four offices their accreditation, which can undermine public confidence and lead to court challenges over a medical examiner’s findings. For Dr. Andrew in New Hampshire, where a backlog of autopsies has put the state at risk of losing accreditation, that prospect is particularly distressing. He spent the first eight of his 20 years here professionalizing the office and earning its accreditation. Despite the caseload, the office has one of the most timely and transparent surveillance and reporting systems in the country. PHILADELPHIA -- Former Pennsylvania Gov. Ed Rendell has joined the effort to open Philadelphia's and possibly the nation's first supervised drug injection site-- saying Wednesday that he would support the effort even if it meant facing federal charges. The 74-year-old Rendell joined the board of the nonprofit Safehouse, which is raising money to open a safe injection site-- a place where people can use drugs under medical supervision including overdose prevention-- despite federal and state laws that prohibit them. Rendell bucked similar regulations when he was Philadelphia mayor in the 1990s and officially sanctioned the city's first needle exchange program, inviting the then-state attorney general to arrest him at City Hall. "If I thought for a minute that safe injection sites would create new addicts, I wouldn't be a part of it. I see the ability to save lives and get people who are addicts exposed to treatment," he said. "Having me involved, I think it reduces the chances that there will be arrests. It's not likely, but it's somewhat possible they will come and arrest me." 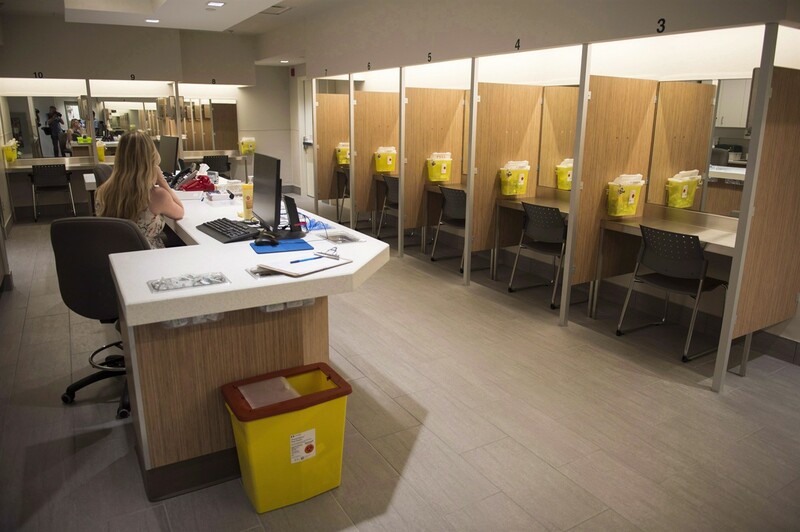 Rendell said if enough money can be raised, it's possible that Safehouse could open the city's first supervised injection site by the end of the year. Rendell's statements come just days after California Gov. Jerry Brown vetoed legislation that would have given San Francisco some legal cover to open the nation's first injection site as part of a pilot program. The bill would have protected workers and participants from state prosecution for illegal narcotics, but not from federal charges. I heard him interviewed last week on NPR and wanted to give him a , an impulse I've never before experienced for a Pol. Opening this program isn't 'just' about saving lives, it's also about the quality of an addict's life, along w/preventing Hep. C, HIV, protecting the environment--discarded drugs, needles, etc. How will the plan be implemented and sites supervised? If I was a parent raising young children close by a site being opened, I'd be very alarmed; will my children be safe and how will dealers and other criminals be kept out of the neighborhood? But, if I was a parent of an addict living in a city that opens a site, I'd be very relieved; my child doesn't have to shoot up in squalor, overdose, die, be alone w/o professional support around. If Canada's model is as successful as reported, hopefully the U.S. will try to follow it lead. Monthly visits to Montreal’s four, supervised drug-injection facilities have more than doubled since they opened last summer and crime rates have not increased in the neighbourhoods that host the sites, according to a new report by city health authorities. There were about 1,200 visits to the four sites during their first full month of operation last July, while visits jumped to more than 2,500 in April and May of this year. “We’re very satisfied because we have been able to save lives which is our main goal,” she said. “We’ve also been there at the most crucial moments when a person does their injection so we’ve been able to accompany and support people when they need it the most. First from WAPO series that looks to be a fascinating and sobering read, on and between the lines. Spoon, whose product could be trusted, wasn’t answering his phone. So just after 9 a.m. on a fetid August morning, Sam Rogers had trekked to a corner two miles east of the U.S. Capitol on Pennsylvania Avenue, hoping to find heroin that wouldn’t kill him. Now Rogers, 53, was back in his bedroom at the hot, dark house on R Street SE. Sitting in a worn swivel chair, he cued a Rob Thomas song on his cellphone and bent over his cooker and syringe. The heroin — a tan powder sold for $10 a bag — simmered into a cloudy liquid with the amber hue of ginger ale. Palliative or poison: He would know soon enough. In the halls of Congress, a short bus ride away, medical professionals and bereaved families have warned for years of the damage caused by opioids to America’s predominantly white small towns and suburbs. Almost entirely omitted from their message has been one of the drug epidemic’s deadliest subplots: The experience of older African Americans like Rogers, for whom habits honed over decades of addiction are no longer safe. Heroin laced with the powerful synthetic opioid fentanyl has killed thousands of such drug users in the past several years, driving a largely overlooked urban public-health crisis. Since 2014, the national rate of fatal drug overdoses has increased more than twice as fast among African Americans as among whites, according to the Centers for Disease Control and Prevention. In this new explosion of deaths, the nation’s capital is ground zero. The District saw 279 people die of opioid overdoses last year, a figure that surpassed the city’s homicides and was greater than three times the number of opioid deaths in 2014. More than 70 percent of cases involved fentanyl or its analogues, according to the District’s chief medical examiner, and more than 80 percent of victims were black. Sam Rogers, 53, returns to his former home in Southeast D.C. after his morning trip to buy heroin. Rogers knew the danger as well as anyone. He had used heroin for three decades, but it was in the past two years that he had nearly died of overdoses — twice — and twice been rescued by his girlfriend and fellow user, 59-year-old Renee Howell. Every fix had become a life-or-death gamble, although the outside world was paying little attention to how the die fell. Rogers depressed the plunger on his syringe. It was the moment of truth that came with every new bag: The 300 microliters of heroin now entering his bloodstream could easily kill him if it had been “stepped on,” or cut, with fentanyl. His dark eyes scanned the overcast sky beyond his bedroom balcony. Sweat streamed down his face. He sank into his seat and grinned. Big Pharma and pill mills. Hillbilly Heroin, prescription drug monitoring programs and gaunt teenagers moving from Percocet to the needle. These are the familiar themes and characters of the story America has told itself about its opioid epidemic, a story set in the mobile-home parks and suburban subdivisions of Appalachia, New England and the Midwest. It is a story that is increasingly outdated and incomplete. For several years, the opioid scourge has been moving into cities — and claiming the lives of African Americans at unprecedented rates. Unlike the white overdose victims who have dominated national debate, the epidemic’s new casualties are seldom young and were not first hooked by doctors prescribing pain pills. Instead, they are the long-term drug users who have endured the older, slow-burning opioid epidemic that began with heroin’s spread through American cities in the Vietnam War era. Many, like Rogers and Howell, had developed a semblance of functional addiction, getting by with menial jobs on factory floors and construction sites. This is a horrific crisis. But are the most commonly prescribed drugs for psychological disorders much better? I am just asking for a friend.